Searching for trips is about to get a lot easier. Google might always know where we are, but it isn't exactly the first name you think of when it comes to travel and trip planning. 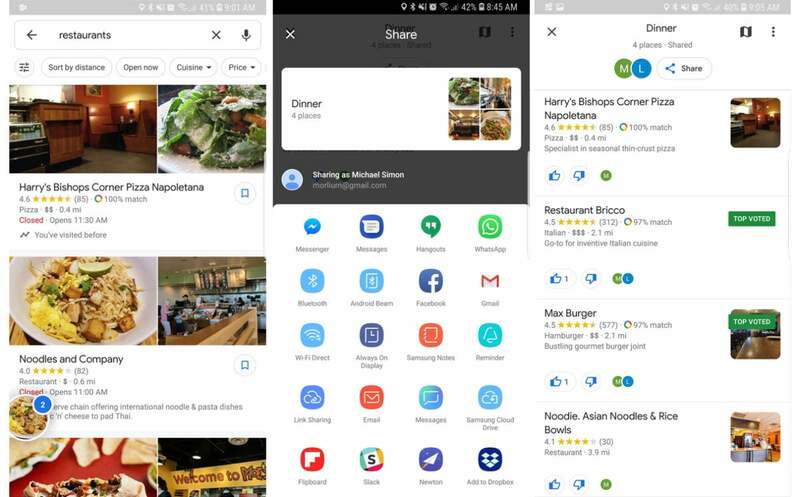 With a handful of new tools rolling out over the coming weeks (users on Android and iPhones get it first this week), the search giant is trying to change that. When you search for a restaurant or a place in Maps, you'll see the same list as always, with the same options. Normally, you'd tap the bookmark icon to create a new list or add something to an existing one, but that's not what you want to do to create a shortlist. Instead, you're going to long-press on the card until you feel a tiny vibration. That will start a shortlist, visible via a circular icon on the left side of the screen (you can move it to either side). You can collaborate with friends on lists in Google Maps now. Once you've created your list, you can opt to share with as many people as you'd like. Tap the circle and then the share icon to send it to your friends, who will be able to log their selection via thumbs-up, thumbs-down voting. It works on any platform: Android, iOS, Mac, or PC. You can't create more than one shortlist at a time, so make sure you send it before you start a new one. After your list is sent, it will disappear, though you can always access it via the link in Messages or whatever app you used. As your friends vote or add their own selections (the latter only on iOS or Android), you'll get notifications of activity, and can respond by tapping it like a normal Maps notification. 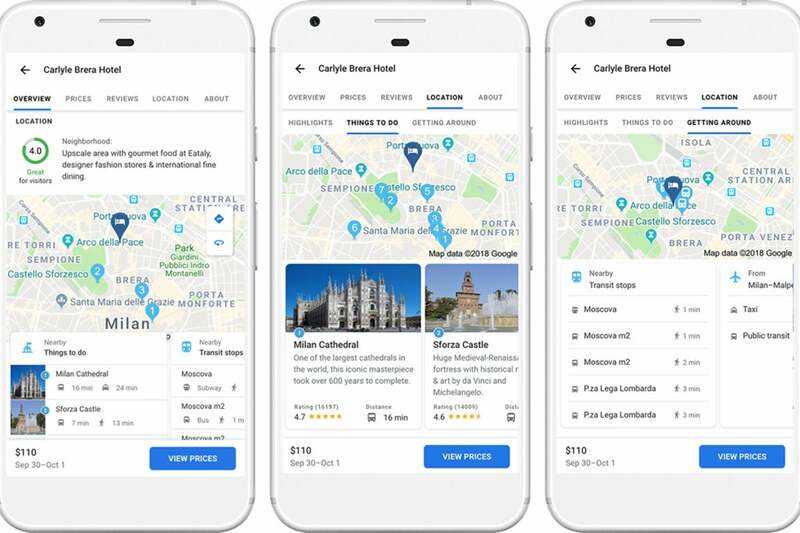 Last year, Google streamlined hotel search on phones to include price filtering, detailed amenity information, and the ability to book without leaving search. Now, Google will be showcasing a new hotel location score that "summarizes the hotel’s neighborhood based on information from Google Maps." Google search will now show you much more than available hotels when you're planning a trip. 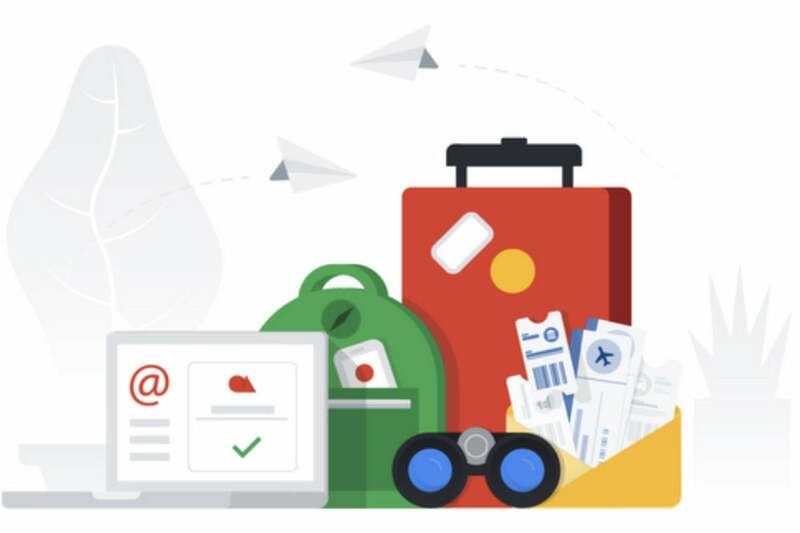 Google is also enhancing its Your Trips feature, which shows private results from Gmail that you can use access and share just as if they were stored locally on your device. You can already see your upcoming and past travel reservations from Gmail, but now Google will add context too. So, if you’re searching for a destination that you've already booked your hotel for, you’ll see relevant flight prices, restaurants, weather and events for your dates of travel. It will also collect searching results for potential trips you've explored online but haven't planned, in case you want to keep looking. Finally, Google will be expanding its flight price trends tracker to include Christmas and New Year's as well as Thanksgiving.